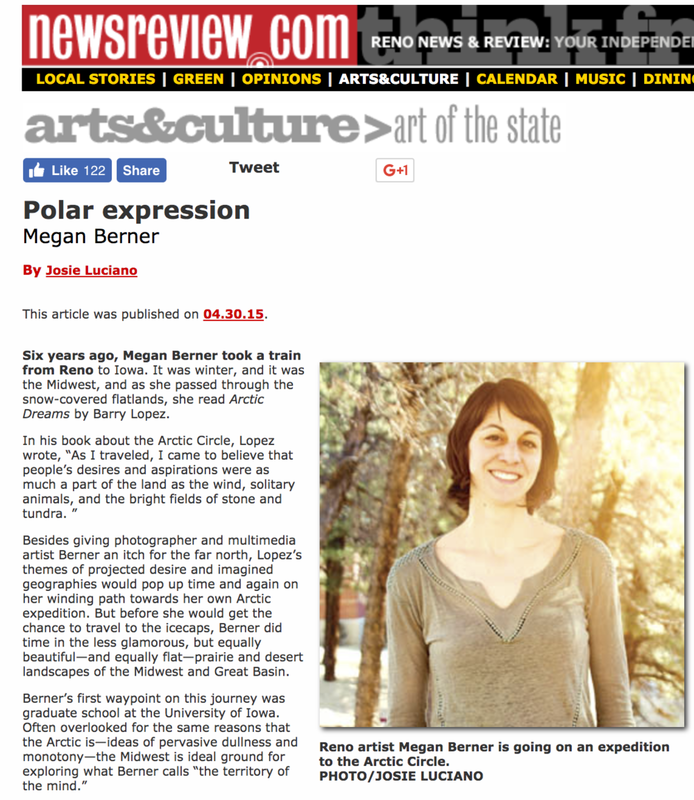 An interview with Deana Hoover about my artwork and residency in Silver City, NV. Some of my Polaroid images from the Arctic were selected as part of an online exhibition titled Direct Positive: Polaroids hosted by Light Leaked, a bi-monthly online photography magazine that creates community and dialogue. Check out the images here. A video segment on me and my artwork done by the local PBS station. 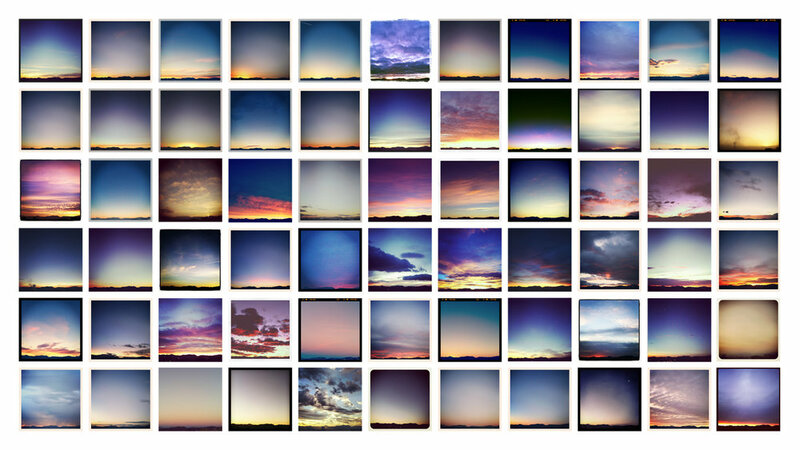 My Instagram series, Good Morning, was included in Tilting the Basin: Contemporary Art of Nevada. For the duration of the show, I posted a new sunrise image almost every day. An article about the Friends of Black Rock - High Rock and BLM's Artist-in-Residence program in which I took part. I was invited to write a piece for Our Arctic Nation, a U.S. Arctic Council Chairmanship initiative, to represent the state of Nevada. I wrote about my experience as a resident artist with The Arctic Circle in the summer of June 2015. I was featured on the 365 Artists 365 Days Project blog. You can read my interview here. An article written by Josie Luciano on my upcoming residency in the Arctic Circle. A catalog from a curated exhibition at the Holland Project of contemporary Nevada art. 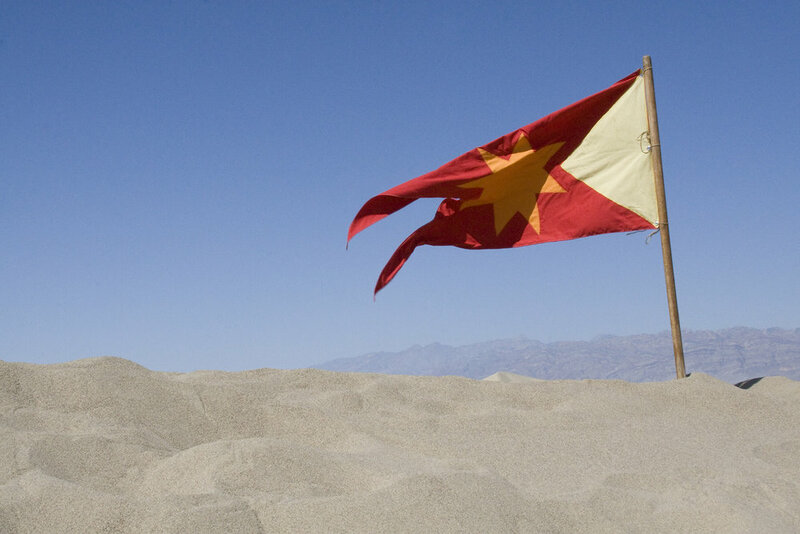 My collaborative project with Jared Stanley, Lake Lahontan's Maritime Legacy was featured. An essay I wrote about the collaboration process with Nat Evans and the creation of our book and music project, In a Shifting Landscape, is featured in JAB33. A review of my exhibition "Umvelt" at Saint Mary's Art Center in Virginia City. This online collection of artworks was brought together in response to, and in conjunction with, a paper session titled Curating the Cosmos organised by Professor Deborah Dixon as part of the 2013 annual conference of the Association of American Geographers held in Los Angeles. The Aeolian Marsh, a collaborative piece done with poet Jared Stanley, is included. An article about a group show of self-portraiture that includes my work.